D.C. Meat Week is back, with a belly-busting roster of dining events scheduled for each night of the week. Monday, Hill Country (410 7th St. NW) hosts a benefit concert to support Texas wildfire victims, and will also donate 20 percent of food and drink sales -- and that includes for the all-you-can-eat barbecue. 6:30 p.m.; $20. Manic Monday? Take a breather at Circle Yoga (3838 Northampton St. NW) for Monday Night Mindfulness. This free meditation class and facilitated discussion is the perfect way to de-stress and rejuvenate yourself for the rest of the week. 7-8:30 p.m.; free. Black Cat (1811 14th St. NW) has "re-institutionalized" Couch Night in the Red Room. Hang out while DJ Tariq and Friends spin tunes, and plus enjoy specials on Bells HOPSLAM and other seasonals. 8 p.m.; no cover. Join fellow performance poetry enthusiasts at The Fridge DC (516 1/2 8th St. SE - rear alley) for the first Beltway Poetry Slam of 2012. Phil Kaye, a member of the nationally ranked 2011 Providence National Poetry Team, will be performing. Kaye has previously performed at Lincoln Center in New York and and is the only person ever to receive the National College Poetry Slam award twice. 8-10 p.m.; $5. D.C. Meat Week continues at Pork Barrel BBQ Restaurant (2312 Mount Vernon Ave., Alexandria), which is dishing up a sampler of every meat for $20. Start the month off with a bang at Brasserie Beck (1101 K St. NW) for a D.C. Brau and Stillwater Artisanal Ales Dinner. Enjoy a five-course meal prepared by Chef William Morris and paired with five of the newest beers from DC Brau and Stillwater Artisanal Ales. Courses to look forward to include braised rabbit pot pie and roasted potato gnocchi with duck confit, among others. 6-9 p.m., $85 (not including tax or gratuity). NexGen Music presents Live 'N' Tronic, a mix of local and professional talent, at U Street Music Hall (1115 U St. NW). This event serves to connect local bands and session musicians with top DJs and producers from the worlds of acoustic and electronic music. Featured artists include DJ aPm and Affectionate Grooves. 9 p.m.-2 a.m.; free admission for guests 21+; $5 for 18+ (must order in advance). At the Washington Humane Society's annual Sugar & Champagne Affair, leased doggie dates are more than welcome as the human set indulges in champagne and desserts by D.C.'s top pastry chefs. Doggie hors d'oeurvres come from Barkley Square Dog Bakery. It's happening at the Ronald Reagan Building (1300 Pennsylvania Ave. NW). 7-9 p.m.; $90. Rock the house at Liv Nightclub (2001 11th St. NW) for Hip-Hop Karaoke's first anniversary party. Everything is provided for participants to perform their best hip-hop karaoke, including a song list (available here) and a DJ. 9 p.m.-1:30 a.m.; no cover. The Park at Fourteenth (920 14th St. NW) serves up $5 premium cocktails during happy hour. 5-10 p.m.; no cover with RSVP to theparkthursday@usualsuspectz.com. Funny man Demetri Martin is hauling his stand up tour, Telling Jokes in Cold Places, to the Warner Theatre (13th and E streets NW). 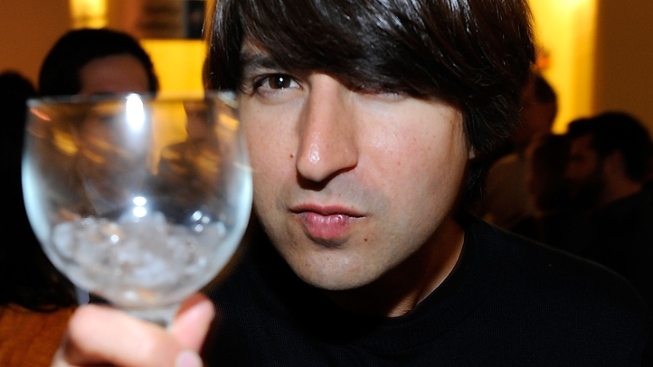 The New York comedian is best known for his show "Important Things with Demetri Martin" on Comedy Central. 8 p.m.; $47. End your work week on high note by taking in D.C. Shorts Laughs at Riot Act (801 E St. NW). This festival runs through Saturday and features a combination of film and live performances that are sure to keep you laughing all weekend long. Each show includes 6-8 films and two stand-up routines from some of the area's best comics. There are five different showtimes to choose from (see website for details). Fri. 7 and 9:30 p.m.; Sat. 5, 7:30 and 10 p.m.; $15. WMZQ presents Girls With Guitars and a Piano Man at the Fillmore Silver Spring (8656 Colesville Road, Silver Spring). Enjoy an evening of acoustic country sounds from Phil Vassar, Sara Evans, LeAnn Womack, Sunny Sweeney and Joanna Smith. 8 p.m.; $13 general admission ($3 will go to the American Heart Association for Heart Health Month).